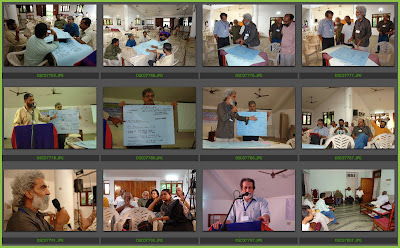 Design Thinking and Action in India and elsewhere. The month of November 2009 seems to be the Design Thinking month with so many events and discussions taking place on the subject all around the world. It surely is the flavor of the month as far as I am concerned since I have been named amongst the top twenty design thinkers of the world by a very generous blogger in Columbus, Ohio State, USA. 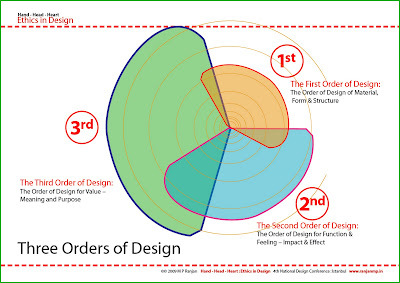 The list is located on the Design Thinking Exchange site that is managed by Nicolae Halmaghi through his own research initiatives and the list is his personal view but he supports it with the research that he has carried out over the past few years. This has raised many voices in India and elsewhere and my mail box is full of congratulatory messages that I cannot reply individually so I have decided to make this post and explain what seems to be happening in the design thinking space. 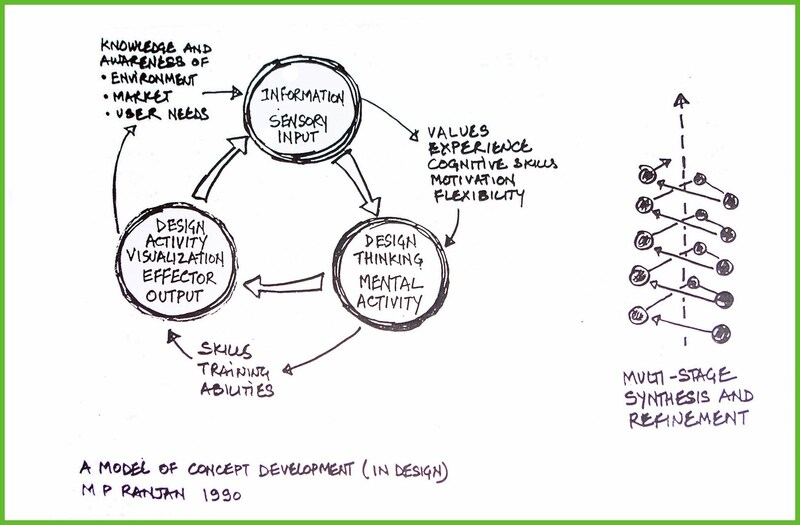 Image01: An early representation of design thinking as a model that was used to teach NID students in the Design Concepts & Concerns class as prepared in 1990. This was retrieved from Nagraj Seshadri's class notes which were submitted to the NID Library as part of the course documentation that was done over the years. I was quite surprised to see my name on the top twenty list particularly since I have not yet published a comprehensive book on the subject of design or design thinking although I have many papers on my website and my blogs dating back to my early teaching notes and published papers. My three books to date are on bamboo and design and on the Handcrafts of India called "Handmade in India". I am curious to know the extent of your research and if you are aware of the work done at the National Institute of Design (NID) in Ahmedabad over the past 50 years since it was set up in the early 60's based on the seminal report by Charles and Ray Eames called the India Report. You have not included NID in your list of Design schools either on your site. In particular which is the paper or papers you have referred to in making your assessment for the list. You mention a 1989 paper, I am curious as to which one this is. I have many papers from the 80's and several 'unpublished' ones but most of these were distributed as xerox copies to my class in design methods along with models that I used to explain the concepts“. 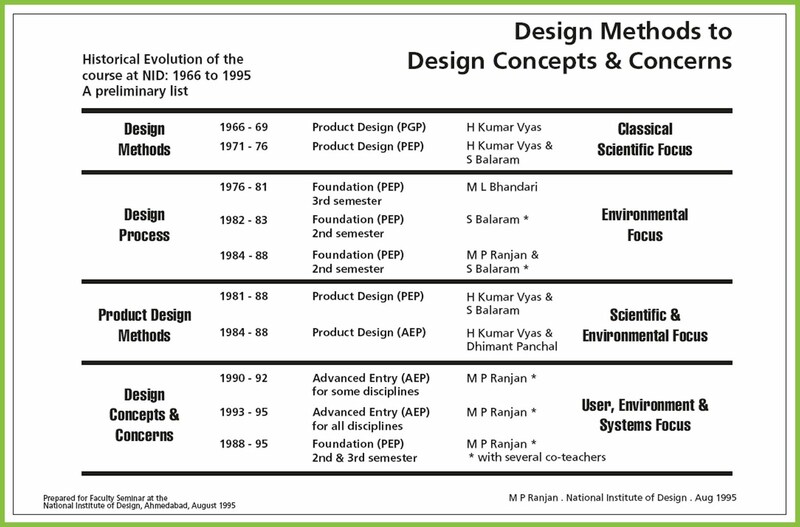 Image02: A chart showing the development of the Design Methods course at NID from its origins on the 60’s to the forms that it took till the time the chart was created in 1995. The course was then called Design Concepts and Concerns as it now stand today. The course has evolved further in its content and teaching method which has been explained in my paper for the EAD06 Conference in 2005. Nicolae graciously wrote back and I quote the part of the message below and he has also made an additional post on his blog after some critical comments from Bruce Nussbaum. “I must admit I have stumbled over your papers accidentally, about a year ago. I was very unhappy with the “muddying” of an emerging discipline and I felt very alone. Everybody seamed to be happy with the progress, except me. At that point, I was working on finding unifying principles that allow seamless communication across different systems (financial, economical etc) across both brain hemispheres. I am not quite sure what I was searching for, but all of a sudden, I realized that I was staring at a paper whose content was plagiarized for years by an entire industry. Most of the architecture, structure and process of what we now call Design Thinking was there. All of the current buzz terms associated with design thinking were eloquently presented in this paper. Even the term “Design Thinking” was there, except it was used very inauspiciously without great fanfare. 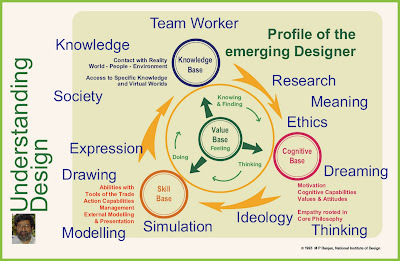 Image03: Profile of the Emerging Designer model as it is used today was also modified a number of times and now it has a central core that is Values which inform all other actions and thoughts of as part of the design process. 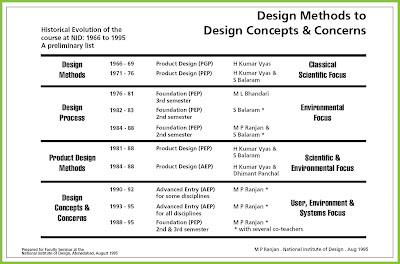 I did some background research from my own archives as well as from the NID Library where we had placed student notes from the courses that had been conducted in Design Process way back in 1982 onwards. This I did to check the provenance of my ideas on design thinking. 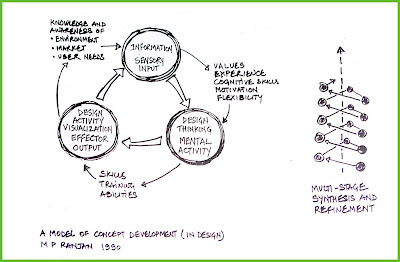 I found an early diagram that I had used to explain design thinking in Nagraj Seshadri’s class notes from the 1991 Foundation class at NID when he was a student in my DCC class. Nagraj went on to graduate from the product design programme at NID and then did his Masters Degree from the RCA, London also in Product Design. In 1999 he won the first ever award offered by Core77.com for his classroom project carried out at the RCA, an intuitive electronic music device for children. When I browsed through his Foundation document of 1991 I saw that he was involved in a group assignment that dealt with the key words “Toy – Physics – Child” and the group explored the concept and built an interaction matrix that captured numerous attributes through the analysis of all the traditional folk toys that were in Sudarshan Khanna’s book, Folk Toys of India. This for me demonstrates the reflexive nature of design activity and of design thinking itself. George Soros explains his concept of reflexivity in his book Open Society and also in his recent online lectures available from the Financial Times website here. 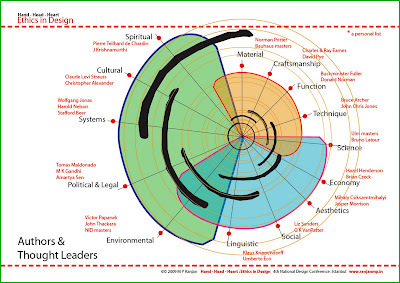 This shows that one engagement with design thinking on a particular subject could be a life long engagement since the act does something to you while you try to do something to the world. So I wrote back to Nicolae and told him about my findings. Thank you for the clarification. However, it is very daunting to be placed in the rarified space of the worlds top twenty, which is always a very difficult task since there are so many perspectives from which all of us work and look at ourselves and our peers. Your blog post has stirred up much interest here in India and I hope that it will bring a better appreciation of the role of design itself. I must give you a background for the 1997 paper on Design Visualisation. I started teaching a number of courses at NID dealing with materials and geometry in the early 70's and was part of the group that worked closely with the development of the Foundation Programmes at the Institute, particularly for the Undergraduate programme in Design. I started teaching Design Methods as a course in the early 80's and in these courses used the work of Prof Bruce Archer and the works of John Chris Jones and Christopher Alexander as the platform for building a teaching module for NID's Foundation programme in design. In 1988 Prof Bruce Archer visited NID and I had the opportunity to act as guide and local host and traveled with him to Bombay IIT for a short exposure at IDC. During this early period I had prepared many slides with models that could be projected on an over head projector and these were used in the class as well as distributed as teaching notes along with a course abstract paper. The course evolved each year due to interactions with students as well as critiques from faculty colleagues in a very lively environment that was the NID of the 80's and 90's. Much of this work is undocumented although occasional internal papers may have been distributed since all the texts were made on ordinary typewriters and never published. There are many serious design thinkers populating the PhD-Design list who have been making significant contribution to our understanding of design and design thinking. I wonder if you have studied this list. I am hugely impressed by the thoughts and writings of Klaus Krippendorff, Jerrome Diethelm, Charles Brunette, and many others on that list, to name only a few. Next month I will be traveling to Melbourne at the invitation of Ken Friedman, Dean, Swinburne University Department of Design to attend a conference on Design Thinking on the 21st and 22nd November. We will expect to meet many of the leaders of design thinking at that conference and I look forward to it. I have also been invited to speak to business leaders by the Design Victoria at a breakfast meet on 24th November at Geelong. Notwithstanding the Design Thinking Exchange posts and the top twenty list we do see signs that things are stirring up and Design Thinking is becoming the flavor of the month. Last week Bruce Nussbaum sat down with Tim Brown and with Roger Martin, authors of two new books on design thinking for business applications and these talks were much publicized. Tim Brown’s TED Talk is doing its rounds and Roger Martin too appears in the New School interview. Both the books landed on my desk thanks to my advance orders at Amazon. I will get down to reading them when I get back from my own do at Melbourne. Another significant event is the ICSID conference in Singapore from 23 to 25 November and the theme is …. Design Thinking!! NID Director, Prof Pradyumna Vyas and two faculty colleagues Prof Vinai Kumar, Acting Dean Gandhinagar and Prof Shashank Mehta, Chairman Faculty Development Centre will be traveling to Singapore as well. Prof Proadyumna Vyas will be standing for election to the ICSID Board in the long tradition of the NID Directors since Prof Kumar Vyas, Mr Vinay Jha, and Darlie O Koshy and I would urge all ICSID members to cast their vote in his favor. So Design Thinking is indeed the flavor of the month and is here to stay and I hope India will take it a bit more seriously than it has been over the past 50 years since design was established as a discipline here in India. 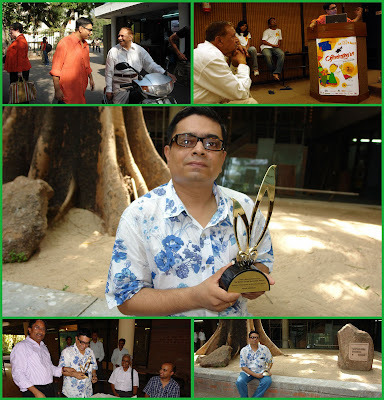 With the CNBC TV18 bestowing a singular honor by recognizing Sekhar Mukherjee as India’s animation teacher of excellence through their Golden Cursor Excellence in Animation Awards conferred on him 8 May 2009 at a glittering function in Mumbai we get an opportunity to look back at the stirrings of animation in India and how it set roots at NID. Image01: The CNBC TV 18 award to Sekhar Mukherjee has finally brought some recognition to NID teachers in Animation Design discipline. 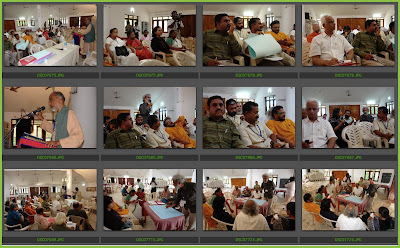 We can review this in the backdrop of the Chitrakatha 2009 events at NID over the past three days. This is a brief but incomplete history of the valiant efforts made at NID over the years to establish an animation based profession in India, the first institute to take up this challenge. Jayanthi Sen in her article in Animation World Network ion 19 October 1999 maps the origins of animation in India with the arrival of the Cartoon Film Unit at the Films Division set up buy the Government of India. In the mid 50’s they brought Disney Studio maestro, Claire Weeks to train the first batch of trained animators for the Indian scene. The story of NID’s contribution to Indian animation has not been written and I do hope that some serious research scholar will take up this challenge and articulate the epic journey from its origins in 1963 when the Oxbury camera came to NID to the Chitrakatha 2009 and beyond. 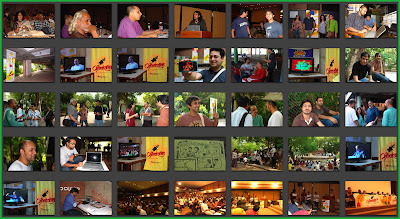 Image02: Animation heros seen at the Chitrakatha 2009 event on the NID campus at Paldi. Each of them a leader in the field and with many successful films to their credit. However in 1961 NID was set up at Ahmedabad and very early in its development the Visual Communication programmes were established with the offering of the first Post Graduate Programme that started in 1963. Amongst the first batch was Ishu Patel who having joined the programme to study Graphic Design gravitated to learning animation after a foundation in Graphics from the master Armin Hoffman. While he was a student at NID two animators came to NID and made a great little film in the mid 60’s called Swimmy. Leo Leonni and Gulio Gianini were assisted by Ishu Patel, Mahendra C Patel, Vikas Satwalekar and I S Mathur, all first generation students at NID in the Visual Communication programme. Image03: Chitrakatha 2007 showcased NID animation and set the stage for a broader recognition of NID’s contributions to the field of animation film making in India over the years. Ishu Patel studied Graphics at Basel under Armin Hoffman and in 1970 was deputed to the National Film Board of Canada to study animation. This started a life long passion for animation and a long string of great experimental films made both at NID as well as at the NFBC which he joined full time in 1972. He returned to India each year to share his work at the Institute and many NFBC films came into the NID archives most notable of which are the fine collection from Norman McLaren and later from Ishu Patel himself. Saul Bass and Charles and Ray Eames too were highly influential in the early years in shaping the directions of animation at NID through screenings of their work on a regular basis in the NID auditorium. 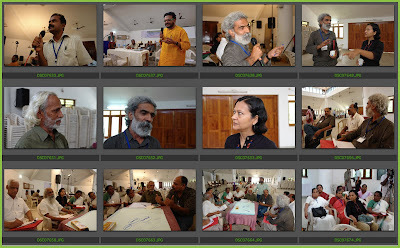 Image04: Scenes from Chitrakatha 2009 at NID campus between 29th and 31st October 2009. The next generation of NID students included R L Mistry and Narayanbhai Patel who took to animation and illustration through their long career as student and later teachers NID. Narayanbhai experimented with paper sculpture based animations while R L Mistry explored many styles of illusrtration and developed his art to a very high level of perfection and achieved the distinction of getting the National Award for his film the national Highway from the President of India. After Ishu Patel left NID in 1972 it was R L Mistry who took up the major responsibility of teaching animation to students at NID and there were a steady stream of interested candidates who loved the medium and wished to explore but the funding was limited and hard to find and the Oxbury camera was available only in limited periods due to cost of operation. NID’s exhibition design projects brought in many opportunities for the animation activity and the education programme too legitimized the periodic use of the medium for basic exercises that were many. 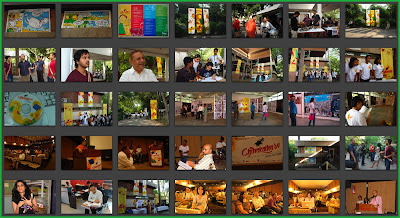 Image05: Additional scenes from Chitrakatha 2009 at NID campus between 29th and 31st October 2009. The next batch of NID animators included Nina Sabnani, Binita Desai and Chitra Sarathy who joined NID as informal learners in short term programmes offered by the department and International consultants were present to conduct some of the programmes for these students at NID. The trio spent a period of experimental work in Calcutta with the Graphic Designer Raghunath Goswami who experimented with the medium for social communication tasks as part of his studio in the Eastern India. NID produced a intermediate technology animation stand for use with a stop frame movie camera and this stand was shifted to Calcutta for use by the NID animators in Goswami’s office. Late 70’s and the early 80’s found Ashoke Chatterjee at the helm of NID as its Director and he insisted on the use of animation for developmental comminication of a variety of types. He managed to get the Ministry of Health to invest in NID animation abilities and Nina Sabnani produced a series of films on the subject of maturation of the girl child and child birth and the associated health issues. In the 80’s and 90’s animation was used extensively for making many short instructional films for screening at the NID designed theme exhibitions such as the Energy pavilion in 1983 that was headed by Vikas Satwalekar. However in spite of these successful demonstrations funding from Government sources was hard to come by and it was back to education assignments to keep the Oxbury camera busy through the year. The UNDP programme of support for the Institute in late 80’s saw the arrival of some support for the animation programme at NID by way of international consultants and travel and study opportunities for NID faculty. Nina and Binny having joined the faculty were deputed to the UK to study animation under Roger Noake while their initial training was provided by Claire Weeks at NID. After their return Nina and Binny got involved in animation education and in making occasional demonstration films and work on a variety of projects that included animation skills such as the animated symbols for the Doordarshan TV channels. The next generation of students included both those in the Post Graduate programme as well as students for the Under Graduate programme at NID. With the arrival of digital technology in the 90’s the field of animation received a great deal of interest in India and the spread of Television across India also brought in new opportunities for the NID animation students. The music channels provided internship opportunities and soon a flood of employment opportunities came their way and Bombay studios gave many of our students professional placement. The other major employer was the IT interactive media industry that took students for gaming and new media product applications and numerous diploma projects were sponsored by industry and these gave a new edge to the animation activity at the institute. 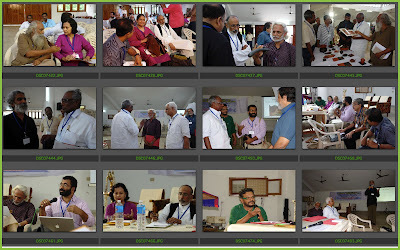 I hope that some of these stories will be documented and shared in the days ahead and I am happy that the two Chitrakatha episodes of 2007 and 2009 have given our alumni a platform to share their journeys. 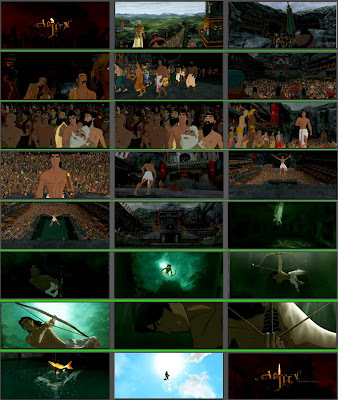 Image06: Stills from the trailer of “Arjun” an animated feature film being directed and produced in Mumbai by Arnab Choudhury and Pavan Buragohain for the UTV Productions due for release early in 2010. The NID animation department has produced many champions of Indian animation and their story too needs to be told at some length, hopefully after a good deal of research since there is much to be said here. However I am aware of some of these cases since these students have been in touch with me over the years and I have been watching their progress as young professionals and now as accomplished animators that India has to offer to the world. This group includes many individuals and here I can only mention a few that I am aware of in some detail. They include Prakash Moorthy, Umesh Shukla, Dhimant Vyas, Vaibhav Kumaresh, E Suresh, Arnab Choudhury and Pavan Buragohain. 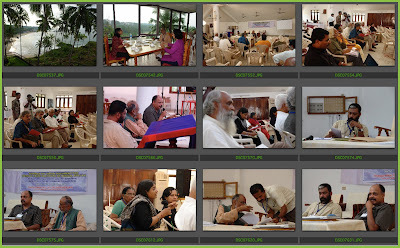 I do hope that the others will share what they are up to these days and tell us about the exciting projects that they have on hand, a bit of which we were able to glimpse during the Chitrakatha 2009 that just concluded at NID between 29th to 31st October 2009. Besides the international presenters from Mexico and China we had some from experts from industry and education from Kolkatta, Mumbai and Ahmedabad. However bulk of the presentations were from the NID graduates who are making waves in India across a number of media sectors from advertising, TV entertainment, game design, childrens animation, edutainment, and most exciting of all mainstream feature length animation due to hit the stands shortly. Student animators too showcased their work across many sectors and entries were screened from many nations during the three days as part of the student competition entries that were judged by a panel of jurors and awarded at the end of the event. Others who came to NID for the event include Sheetal Sudhir and Manish Sehrawat of Channel V and Sanjay Jangir, a recent NID graduate showed his Diploma film that was feated at film festivals in Canada, Switzerland and Japan recently. A note about the making of “Arjun” screening at NID during the Chitrakatha 2009 that appeared in the Ahmedabad Mirror. 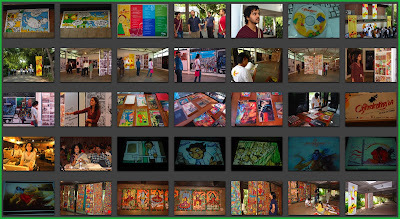 Image07: An exhibition about Comic Books on the sidelines of the Chitrakatha 2009 at the NID Gallery and other related events exploring the role of Comics in national education of the future. While the most exciting presentation for me personally was the screening of the making of “Arjun” which promises to be the first ever full length feature animation film to be produced by a group of NID animators and that too as a fully indigenous production effort. This was particularly interesting since Arnab Choudhury shared the design process and the stages through which the film had to be visualized with the use of live action to discover both characters as well as postures and action sequences, dramatization of the theme and scenes, and the followup articulation with sketches and diagrams of key figures, characters and scenes so that these could be passed on to the production stage in a coherent manner involving a vast group of service providers without compromising the quality and intention of the designers involved. This process promises to create a solid foundation for a vibrant animation industry in India that delivers compelling products instead of just BPO type finishing touches to international producers. Further the quality and impact of the presentation was such that many of us left the auditorium feeling that the team had a Oscar quality film in the making, we wish the team all the very best in the days ahead. NID animation has finally arrived at the national stage and that too with a big bang!! Other young designers are in the ranks and they will be able to dream big and have the conviction to take on the Bollywood producers and money bags who have been sitting on the sidelines so far in the days ahead I am sure. Government of India could do well to find and channel venture funding for the young creative animation producers and this will speed up the process of seeding a fantastic industry based on design talent in India of the future. I was invited by Sekhar Mukherjee to sit in on a panel discussion on the topic of the role Comic Books in Education in India. The discussions were quite stimuilating and there is indeed a role that Comics will and can play in the days ahead. I mentioned the book by Scott McCloud called “Understanding Comics” which I have been reading with great interest for the theory that it provides us and also about TED talks where Scott McCloud gives us an insight into the world of Comics that is both informative as well as entertaining. On the 8th of October 2009 Prof M P Ranjan delivered the keynote address at the 4th National Design Conference at Istanbul Turkey and spent the next day listening to the numerous sessions at the conference on various issues dealing with design that the Turkish scholars found interesting and relevant, all in Turkish, with two student guides whispering the English translation into his ears. 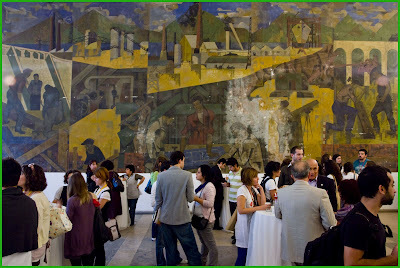 The conference was stimulating and the event was conducted in a historic setting of the Istanbul Technical University at Taskisla in Taksim in the heart of Istanbul. The conference was organized by Prof Alpay Er, Head of Department, Industrial Product Design at ITU and the participants came from many of the 24 schools of industrial design in Turkey and included teachers, students and professional designers. 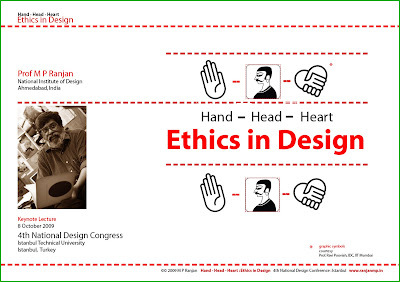 The keynote paper and visual presentation titled “Hand-Head-Heart: Ethics in Design” can be downloaded from here from this blog. 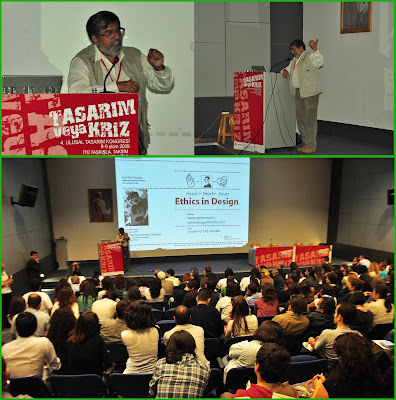 Image1: Prof M P Ranjan delivers keynote lecture titled “Hand-Head-Heart: Ethics in Design” at the ITU Auditorium in Istanbul on 8th October 2009. 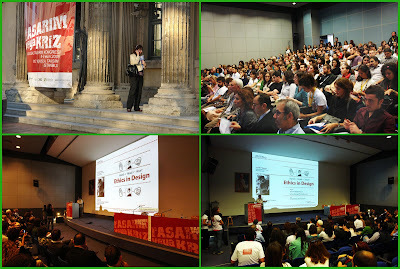 The theme of the conference is “Design or Crisis”. Image2: The historic building of the Istanbul Technical University has a mural painted by Abdurrahman Öztoprak from 1950’s while the building itself dates back to the 1850’s. Cigcem Kaya, one of the researchers at ITU wrote to me that this fresco on one of the walls of Istanbul Techical University, School of Architecture, is one of the major works of Abdurrahman Öztoprak from 1950s. Trained in Academy of Fine Arts (Mimar Sinan Fine Arts University) by Nurullah Berk, Öztoprak is one of the first and most reputable social realist painters of the country with some embodiment cubism as well. Although housed in an architecture school not many people know about the legacy of this fresco. It lies silent behind gatherings and conferences: untitled. 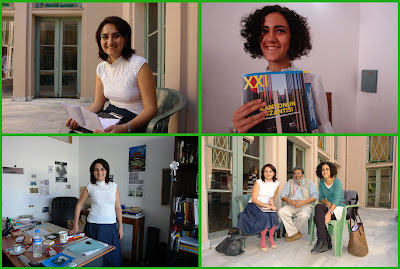 Further enquiries with Fatma Merve, one of my student guides revealed that, "Abdurrahman Öztoprak (*1927 Istanbul, lives in Akyaka) is one of Turkey’s leading contemporary artist of international stature. His works are represented in the permanent collections of major museums and private collections in Turkey. He draws his inspirations for his abstract compositions primarily from Classical European Music. He created a unique body of abstract works during a fifty year period. On July 1st 2007 Abdurrahman Öztoprak has been eighty years old. Öztoprak was educated at the Art Academies in Istanbul and Rome and worked in Germany between 1960 and 1975. Öztoprak’s abstract paintings are a true archive artistic dialogue between East and West cultures and testimony to the way in which different traditions express their feelings. Their messages are continually universal. The geometrical abstract works of artist demonstrates a unique imaginative form vocabulary. Öztoprak’s paintings have recorded interesting dialogue between Oriental and Occidental Art; through them we witness a fertile symbiosis of Turkish and European Culture." Image3: The beautiful courtyard at the Istanbul Technical University springs to life in the coffee and cocktail breaks and students stream out to sit in the sun and socialize between classes. 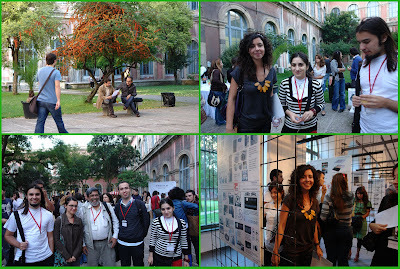 Pelin Kazak who picked me up from the airport won the best prize for the student exhibit. 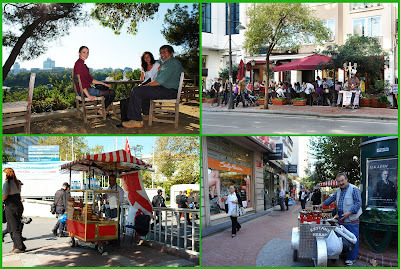 Image4: Experiencing street food views in Istanbul with student volunteers on the day before the ITU conference. Image5: Entrance to the ITU building with the conference poster and views from the conference venue during the keynote lecture. 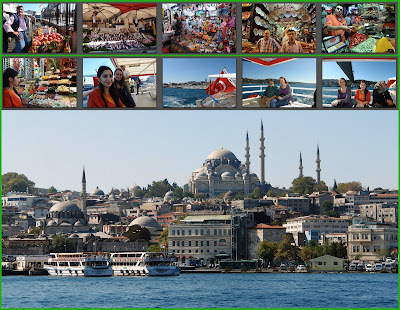 Image7: On the day after the conference Merve and Saniye, student volunteers showed me the scenes of the Bosphorus, crossed over to the other side of Golden Horn and looked at the covered market and took the ferry ride to end the day. 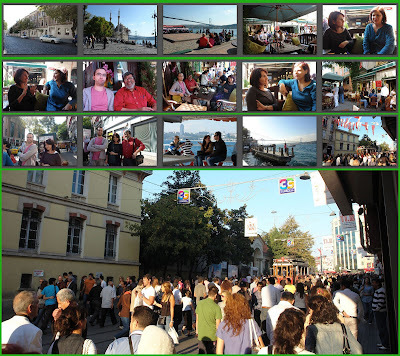 Image8: Sunday it was street life in Istanbul on both sides of the Bosphorus, teeming with people, dressed in their best and nowhere to go in particular and nothing to do in particular, an interesting day of ambling about on the town. 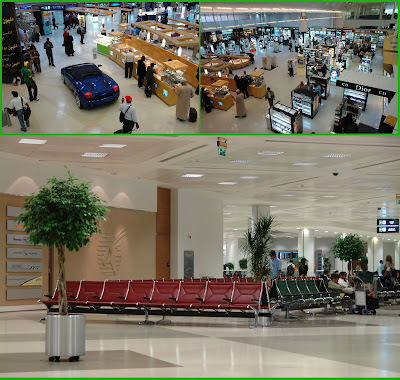 Image9: Return journey through Doha Airport in Qatar is one big shopping mall and a number of halls full of Eames Tandem Sling Seating just like the original prototype that we have in the NID Prototype Collection back home at Paldi campus. Prized takeaway from Turkey: A small book, "On Methods of Research by Bruce Archer, published locally by METU Faculty of Architecture Press, Ankara, 1999" was presented to me by Prof. Dr Fatma Korkut and Prof. Dr Gulay Hasdogan, both faculty at the Department of Industrial Design at the Middle East Technical University, Ankara in Turkey. This book is in both English and in Turkish language, front to back, and as a low cost offering it makes available valuable insights into design and research from one of the world thought leaders in the subject. I was wondering if India too could not do this and if some Indian school takes up this challenge they will soon be seen as the design leaders in the region themselves. I have a wish list of a set of books that must be made widely available to Indian audiences from the school level all the way to the level of industry stalwarts and Government officials who should be exposed to ideas in design if we are to see a change in the use of design in India in real sectors of national need. Is anybody listening? Design Thinking: Is however the Flavour of the Day. Design Thinking Exchange posted a list of thinkers that generated scores of emails and Facebook & Twitter posts that came my way. Thank you all for your mails and Tweets. 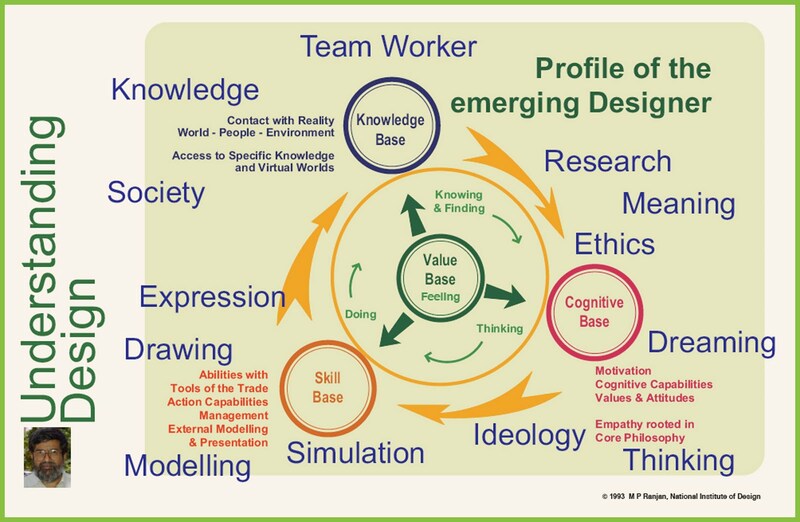 More about this in my next post, particularly since I am off to Melbourne next month to participate in another conference on Design Thinking organised by the Swinburne University by Prof Ken Friedman, Dean, Swinburne Design.